I'm building the delta 3D printer, about machine size, i use the ruler to measure all our need. If you have any experience about this issue, please help me to provide some direction to solve it. If z height works your steps per mm are correct. That is also easy to measure as 1cm up down moves all gliders exactly 1cm. My guess is that your length are not measured correctly. Diagonal rot length is from rotation center to rotation center. Horizontal radius is NOT measured from extruder center to outer rotation axis, it is again from rotation center to rotation center, just only the horizontal part. 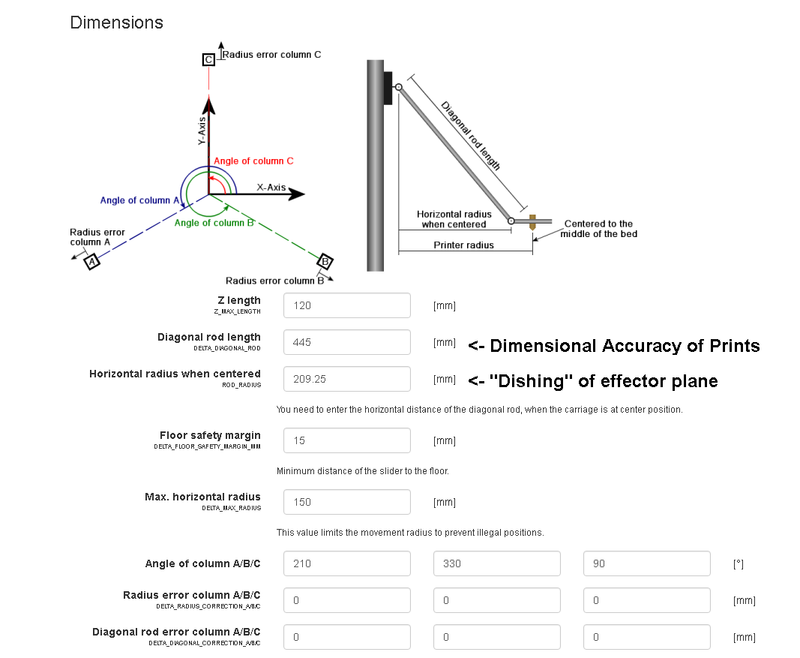 on how to calibrate for correct dimensions. Yep, your Diagonal Rod length is incorrect.